One for all users and uses. The aurora is simply sensational. 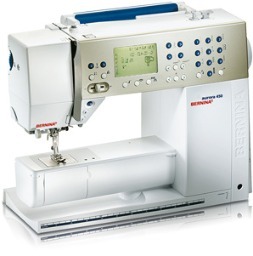 Sewing has never been so effortless! Besides being extremely easy to use, a whole host of new features make the aurora a machine for all users and uses. No wonder then that the aurora is so successful at everything it does. With it you can turn out fabulous creations in a flash - everything from beautiful bedclothes to cozy pajamas or comfy slippers for lounging around at home. Versatility is just one of the many virtues of the aurora. 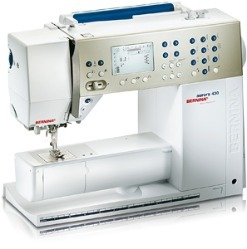 It offers over 180 different stitch programs plus 4 sewing alphabets You can even save your own personal favorite stitches as well as 90 stitch combinations so you can call them up at any time. No wonder then that the aurora is so successful at everything it does. With it you can turn out fabulous creations in a flash – everything from beautiful bedclothes to cozy pajamas or comfy slippers for lounging around at home. Versatility is just one of the many virtues of the aurora. 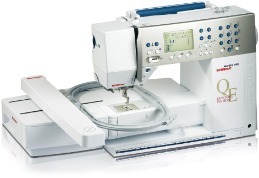 It offers over 180 different stitch programs plus 4 sewing alphabets You can even save your own personal favorite stitches as well as 90 stitch combinations so you can call them up at any time. The aurora 440 QEE is simply sensational. Sewing has never been so effortless! Besides being extremely easy to use, a whole host of new features make the aurora a machine for all users and uses. No wonder then that the aurora is so successful at everything it does. With it you can turn out fabulous creations in a flash - everything from beautiful bedclothes to cozy pajamas or comfy slippers for lounging around at home. Versatility is just one of the many virtues of the aurora. It offers over 180 different stitch programs plus 3 sewing alphabets You can even save your own personal favorite stitches as well as 90 stitch combinations so you can call them up at any time. 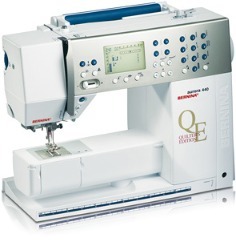 aurora 430 with embroidery module - a machine for all users and uses. The aurora is simply sensational. 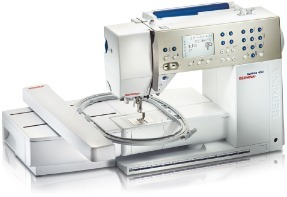 Sewing has never been so effortless! Besides being extremely easy to use, a whole host of new features make the aurora a machine for all users and uses. No wonder then that the aurora is so successful at everything it does. With it you can turn out fabulous creations in a flash - everything from beautiful bedclothes to cozy pajamas or comfy slippers for lounging around at home. Versatility is just one of the many virtues of the aurora. It offers over 150 different stitch programs plus 2 sewing alphabets You can even save your own personal favorite stitches as well as 60 stitch combinations so you can call them up at any time. No wonder then that the aurora is so successful at everything it does. With it you can turn out fabulous creations in a flash – everything from beautiful bedclothes to cozy pajamas or comfy slippers for lounging around at home. Versatility is just one of the many virtues of the aurora. It offers over 150 different stitch programs plus 2 sewing alphabets You can even save your own personal favorite stitches as well as 60 stitch combinations so you can call them up at any time.